Last month I presented a trunk show at my local guild, the Ames Quilt Guild. The next day I taught my new Prairie Point Play workshop, all about ways to make and use prairie points in your quilts, including how to size them and figure out how many to make. I pulled out all my favourite examples and made a few new ones. 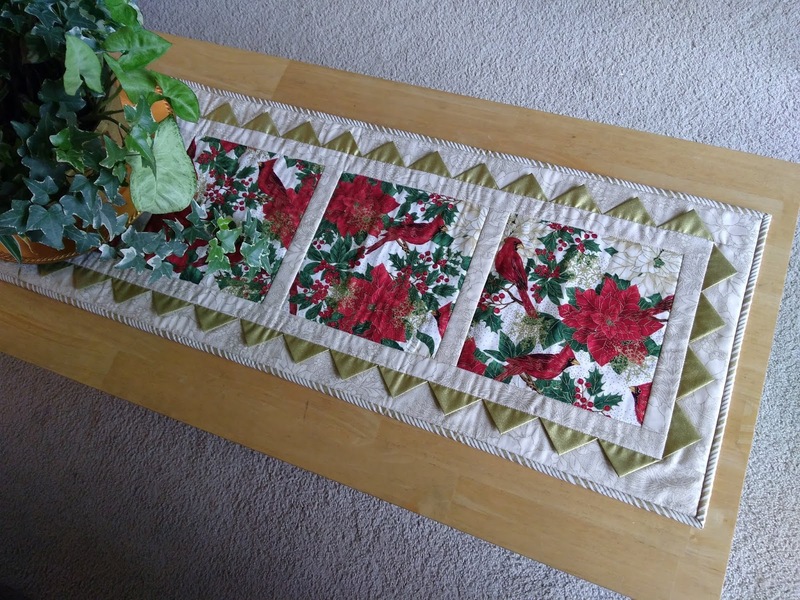 You can put them in a border to dress up a simple piece. 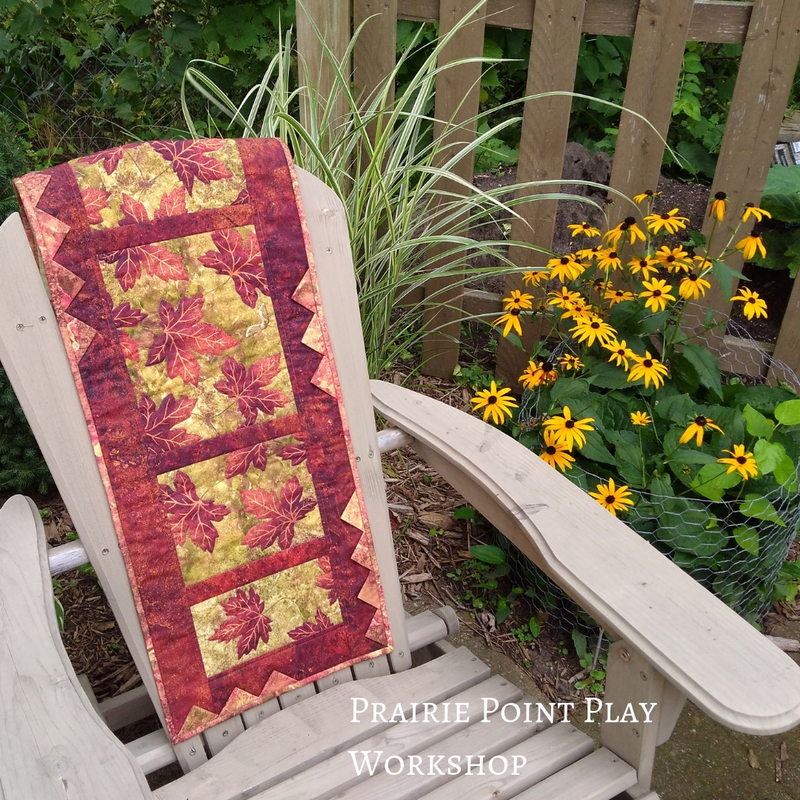 The prairie points don't have to run all the way around a quilt. How about tucking them into the binding? 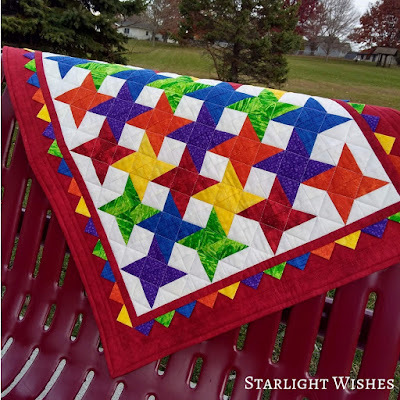 My all-time favourite quilt with prairie points is Scattered Leaves, using the points instead of binding to finish the edge. I think the scrappy points on that quilt turn an OK quilt into something more. While writing up the handouts for the workshop I re-read my Prairie Point tutorials. I also looked at the prairie point instructions I had written in my Scattered Leaves pattern in 2012 and decided the pattern could use a few more details about how to finish the edge with prairie points instead of binding. I went ahead and added more instructions and diagrams, and cleaned up the rest of the pattern while I was at it. I am pleased to release the updated version of Scattered Leaves. To mark the occasion, I am offering a 25% discount on the pattern in my Payhip shop through the end of November. Use the coupon code PRAIRIEPOINTS. You are so clever, and I always enjoy your blog. You share so many great ideas with all of us. I've never made prairie points, but they definitely do add a special effect, and in so many ways! ---"Love"
I think I would place the cat in another pose in the top right corner. We have had a variety of cats and the pose I am thinking of is the cat is crouched down in the front with its rear-end in the air getting ready to pounce. We fostered a number of kittens over the years so I have enjoyed watching them play and getting to know their individual personalities.